Acer unveiled one of the thinnest laptops ever at CES 2018T – the ultra-skinny Swift 7. 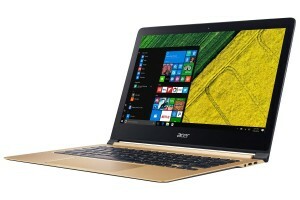 At only 8.98mm thick, Acer claims it’s the world’s thinnest laptop. The laptop has a 7th-generation Intel Core i7 processor; 256GB of PCIe SSD storage and 8GB LPDDR3 memory. The 14-inch Corning Gorilla Glass touchscreen boasts a 1,920×1,080-pixel resolution display. The laptop also has a Backlit keyboard and a Windows Hello compatible fingerprint reader. 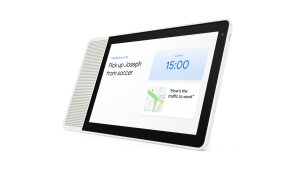 The Lenovo Smart Display featuring either an 8 or 10 inch screen, is the latest entrant in the home assistance space. Like Google Assistant and Amazon Echo, users will be able to issue voice commands to Lenovo’s Smart Displays. Say the word and you can control your smart home, search the internet, ask for directions or check your calendar. Lenovo’s display will show info relevant to your question on your touchscreen like a map or your schedule for the day. 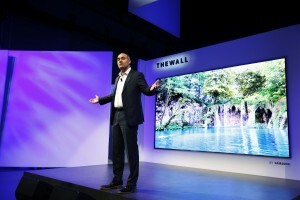 Samsung Electronics’ “The Wall” is the world’s first consumer modular MicroLED 146-inch TV which delivers incredible definition, without restrictions to size, resolution or form. It is a self-emitting TV with micrometer (µm) scale LEDs – which are much smaller than current LEDs, and serve as their own source of light. The MicroLED technology featured in The Wall eliminates the need for color filters or backlight, yet allows the screen to offer consumers the ultimate viewing experience. 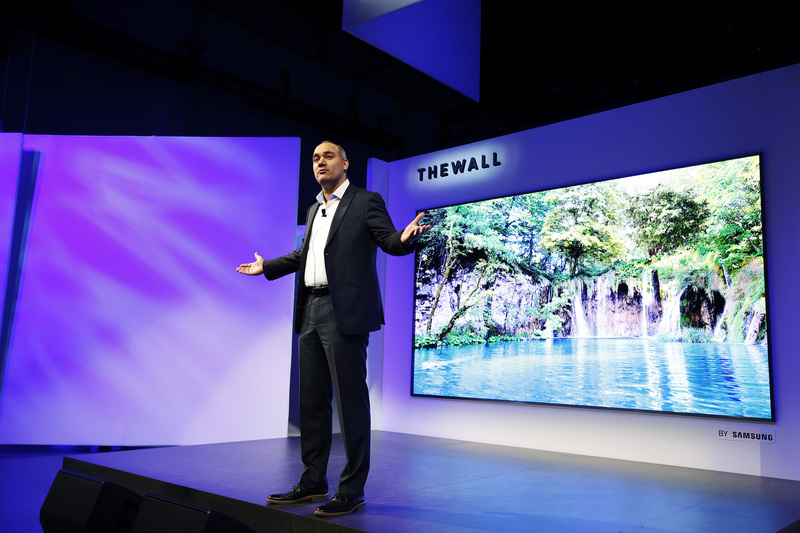 Featuring a module-based, bezel-less design, “The Wall” also exemplifies how consumers can customize their television sizes and shapes to suit their needs. The future is here! 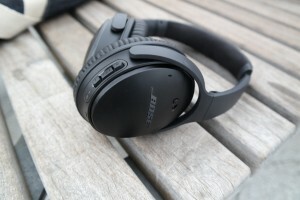 Bose’s QuietComfort 35 II wireless noise-cancelling headphone looks, sounds and performs just like the original except for one key feature: There’s a new “Action” button on the left ear cup that allows you to connect to your Google Assistant without having to touch your phone. And that makes the QC35 II — available in black or silver — the first headphone to integrate Google Assistant. 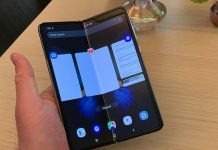 You can play music, receive texts, and get answers without glancing at your phone. The HTC Vive is one of the best virtual reality headsets out there – or at least it was, until HTC announced the Vive Pro, a new headset that’s lighter, more comfortable, and which offers 10 meter by 10 meter tracking and a new 2880 x 1600 resolution. 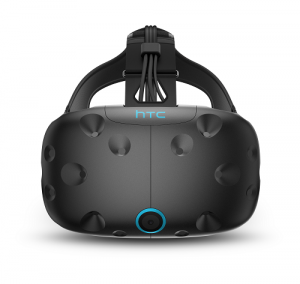 The new headset will have a Dual OLED display with a 615 dpi resolution – that’s a 78% increase over the current HTC Vive’s resolution. The headset will use dual microphones with noise cancellation to make communication easier. And, if a new headset wasn’t enough, HTC Vive will finally go wireless thanks to the new Vive Wireless Adapter – a product we’re just itching to get our hands on. 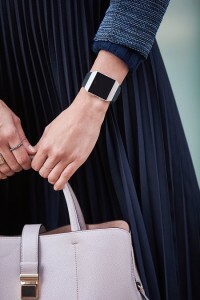 The first ever smartwatch from Fitbit is a fitness watch at its heart. From beginners to experienced athletes, Fitbit’s most advanced device to date offers personal, actionable guidance to motivate you to reach your goals – all while keeping you connected with apps and notifications, no matter what smartphone you have. Access dynamic, on-device workouts that adapt based on feedback you provide on your wrist, or listen to expert-designed running and walking Audio Coaching sessions to increase endurance, speed and form on your schedule. Leave your phone behind and see pace and distance right on your wrist, as well as record elevation climbed, split times, and a map of your walk, run or ride in the Fitbit app. 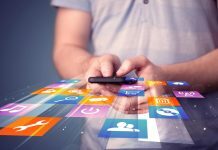 With extended smartphone notifications, receive call, text and calendar alerts, as well as notifications from apps on your smartphone like Facebook, Gmail, Instagram, Slack, Snapchat and more.